A Sarawak DAP leader today agreed that the Parliamentary Public Accounts Committee (PAC) should be headed by an opposition MP. Sarawak DAP chairman Chong Chieng Jen said this is to ensure checks and balances in the government administration. However, he asked the people to give the government some time to discuss the issue and decide on the replacement of the PAC chairman. “Based on our manifesto, the PAC chairman has to be from the opposition but, at the moment, no changes have been made. “Attempts must be made to ensure the promise in our election manifesto is fulfilled,” he said when met at the state-level seminar on illicit beer here today. 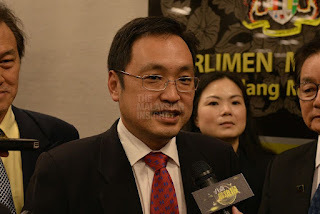 Last week, Prime Minister Dr Mahathir Mohamad had announced that Beluran MP Ronald Kiandee would remain as PAC chairman even though he had joined PPBM. 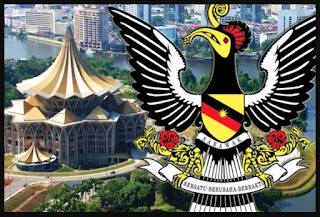 Following the decision, Permatang Pauh MP Nurul Izzah Anwar resigned as a PAC member. PH chief whip Johari Abdul said he had yet to see the resignation letter from Nurul Izzah. “I am made to understand that she has a different view from that of the prime minister. “She has her own principles on who should head the PAC. So she thinks that it (Kiandee remaining as PAC chairman) is unacceptable,” he said.